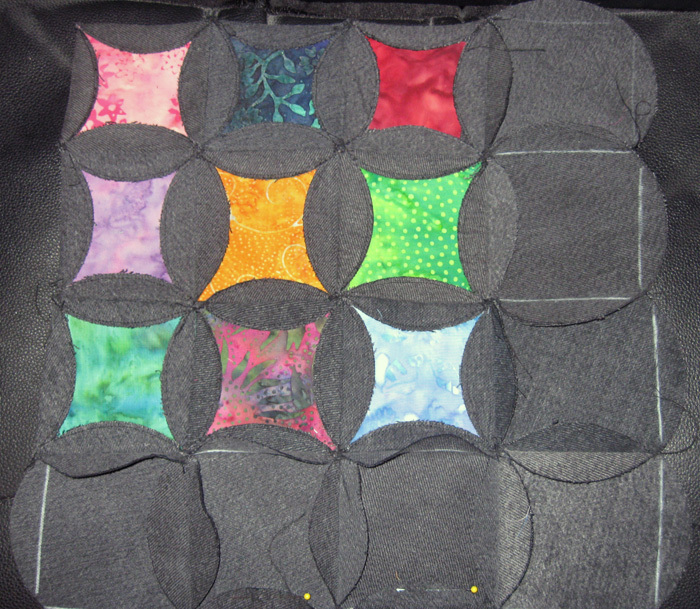 I had some time today to work a little more on the Mock Cathedral Quilt using denim circles and batik centers. I started using Mistyfuse fusible webbing to iron down the batik squares each time I move to the next block. It's working great so far and is not adding any extra weight to the soon to be heavy quilt. I decided to do a single line thread side sew down instead of a zig zag stitch and leave a little edge in each flap to fray on the denim. I love colorful quilts and I think this one will be very colorful. Click on each photo for a better view. 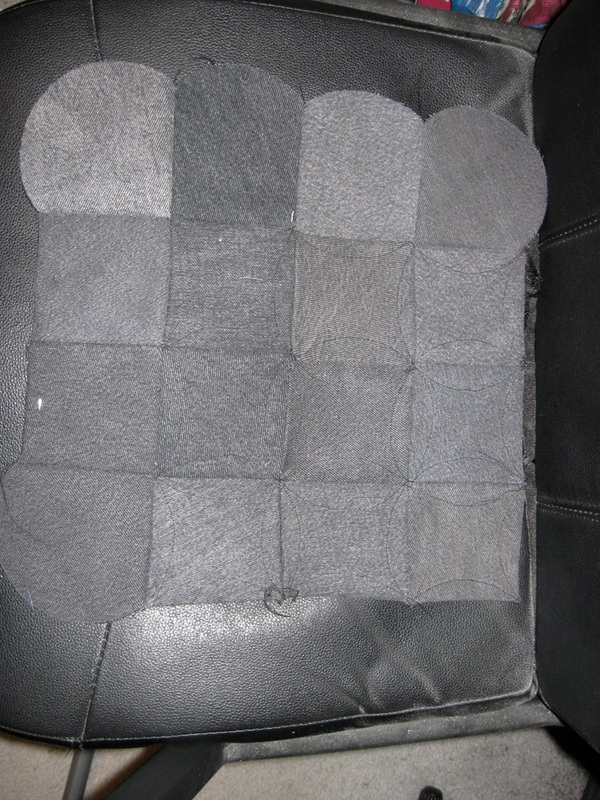 On the back of the quilt, you can barely see the single line of black thread creating the circular sewing pattern.